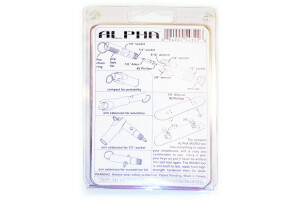 Alpha tool | Alpha Skate Co.
Skateboarding is demanding on skaters and their equipment. 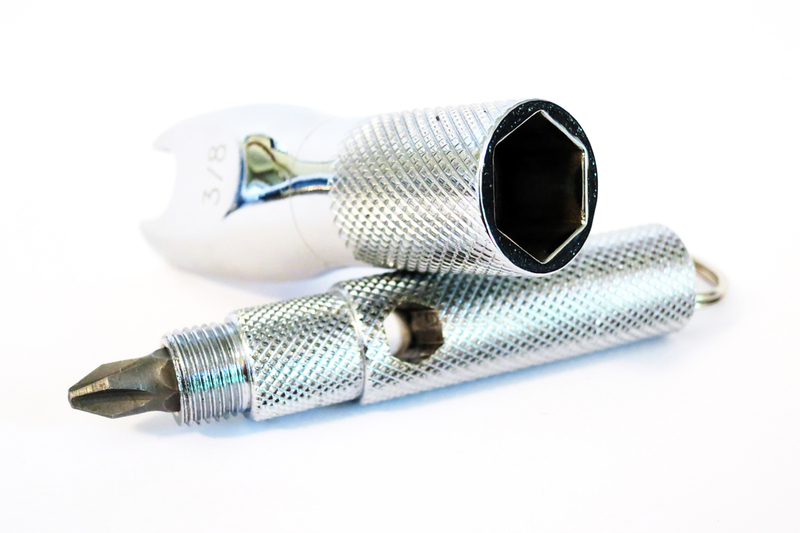 Kingpins and mounting hardware need frequent adjustment. 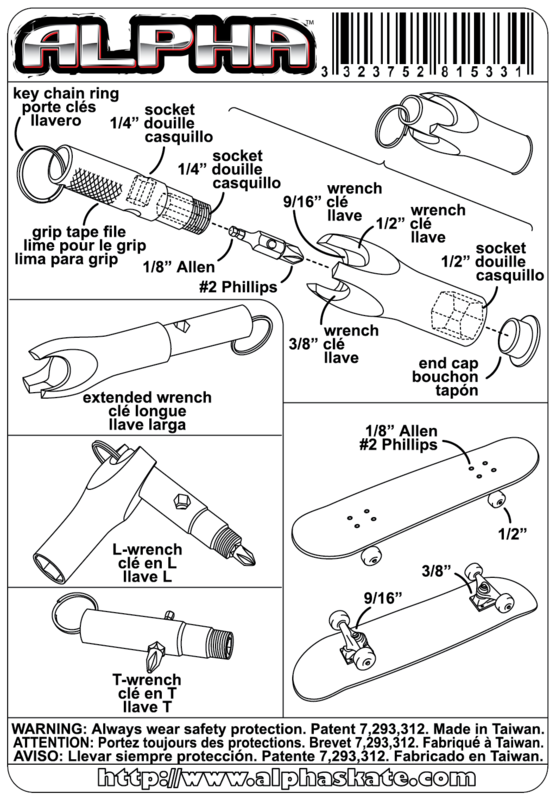 It’s easy enough to borrow Dad’s tools to set up a new board at home, but carrying a tool chest wherever you go isn’t practical. 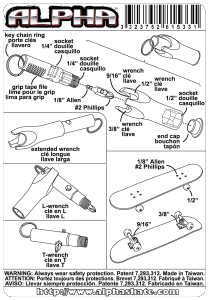 Even worse are all those flimsy plastic and pot-metal skate tools that last about as long as a candy bar. 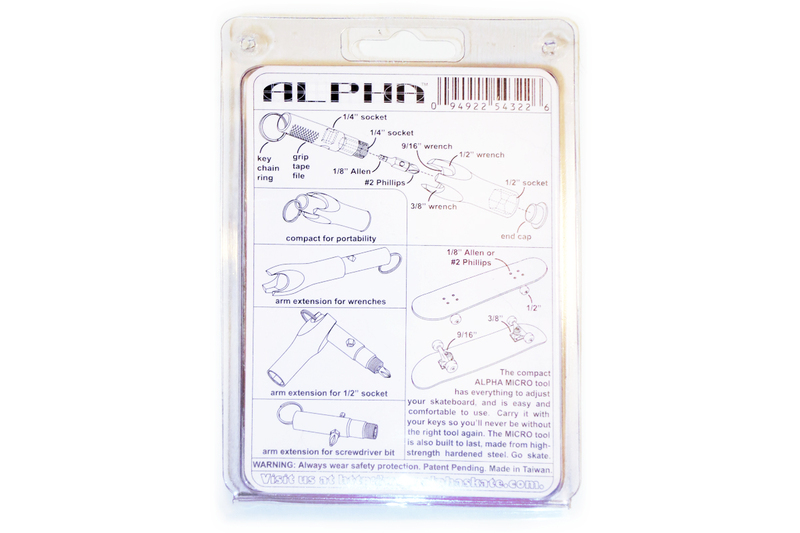 We were simply fed up always searching for a decent set of tools during a skate session, so we created the super strong and compact Alpha skate tool. 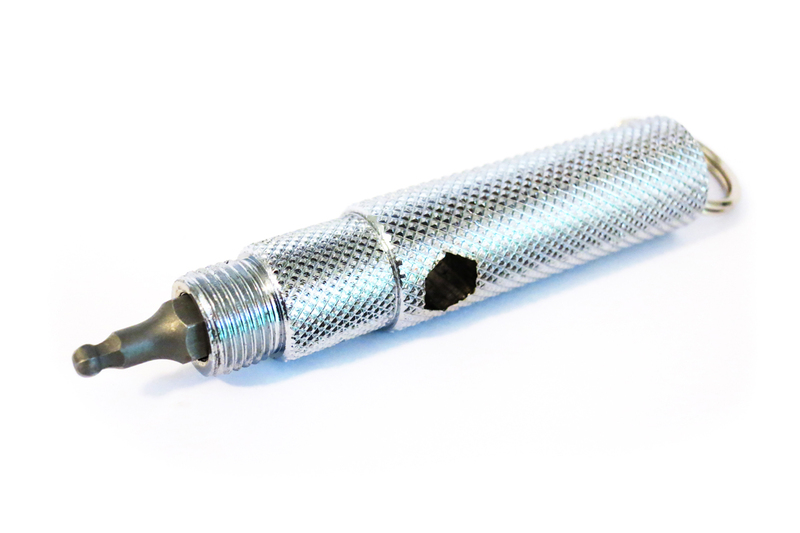 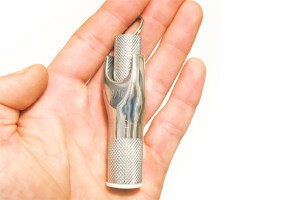 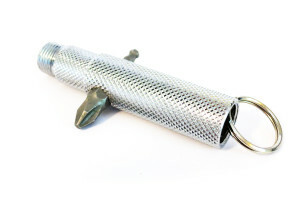 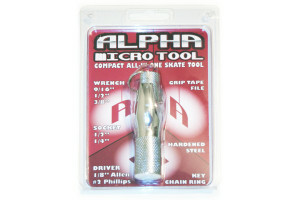 It’s about the size of a roll of quarters, yet has all the tools needed to setup or adjust a skateboard. And because it’s made of hardened chrome vanadium tool steel, it’ll probably end up being passed to your grand kids—unless it gets stolen first (beware of people who gravitate towards shiny objects!). 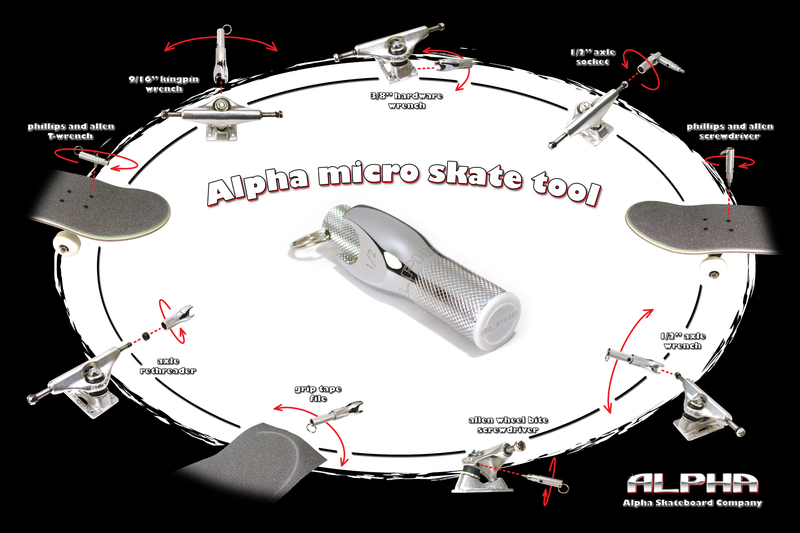 The all-in-one Alpha skate tool has the following features. 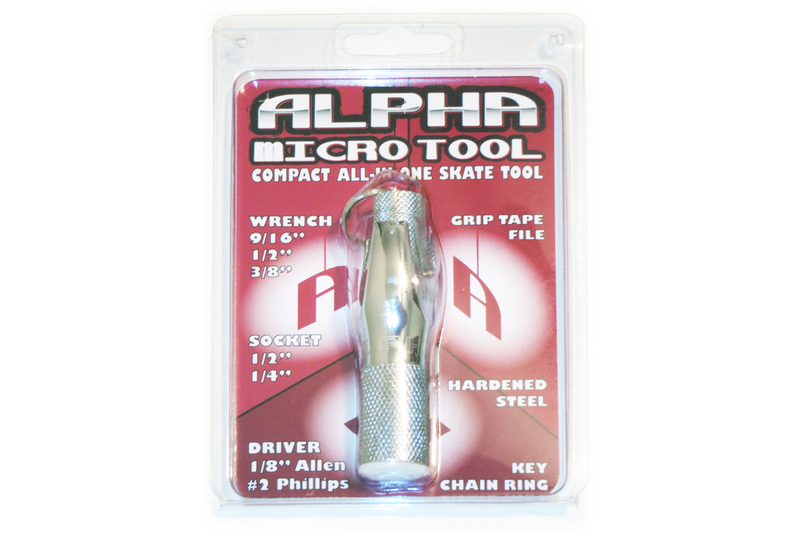 Two halves of the Alpha skate tool. 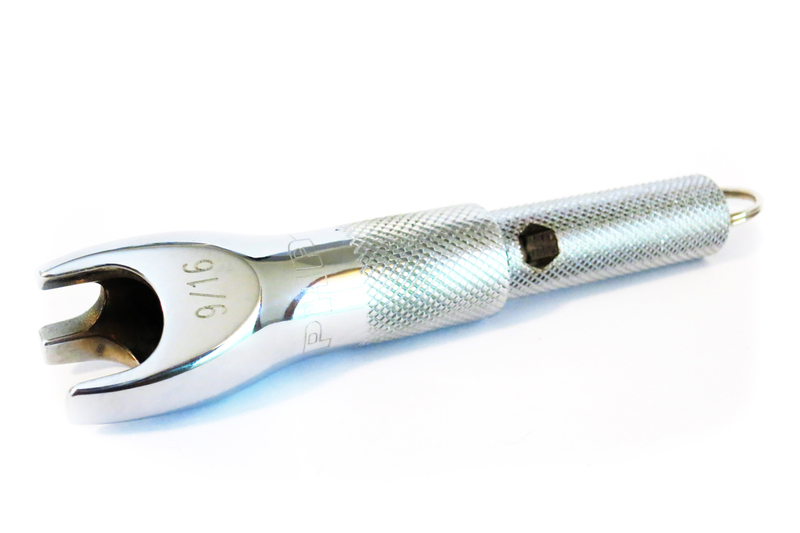 9/16" open-end wrench for kingpin nuts. 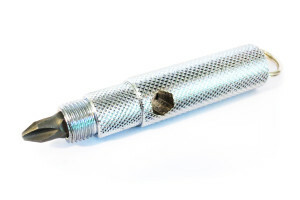 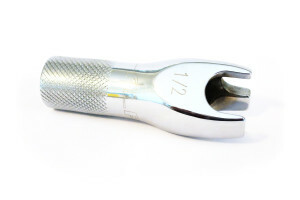 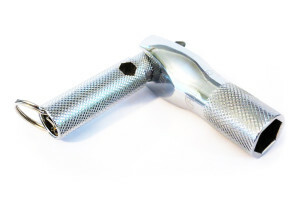 1/2" open-end wrench for wheel-axle nuts. 3/8" open-end wrench for mounting hardware nuts. Philips screwdriver for standard mounting hardware bolts. 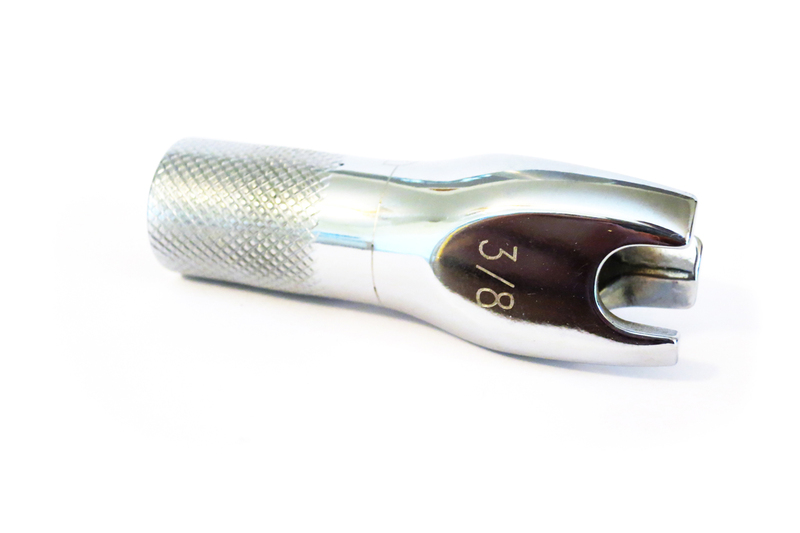 Hex screwdriver for Allen mounting hardware bolts. Extended configuration to get more leverage on kingpin nuts; also for filing grip tape. 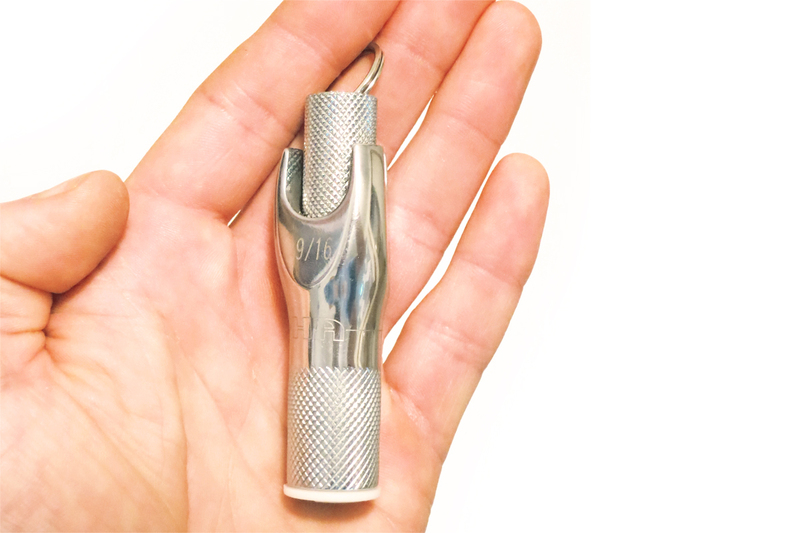 "T" configuration to get more leverage on mounting hardware bolts. 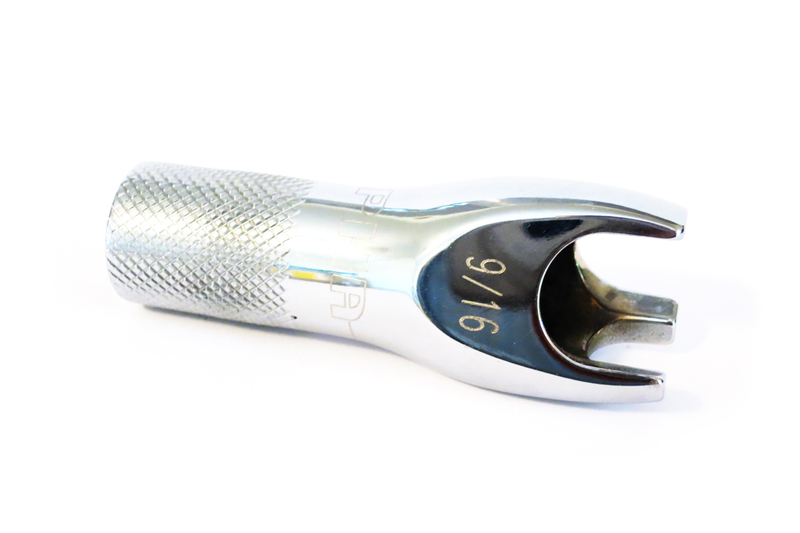 "L" configuration to get at axle nuts with deep wheel wells.